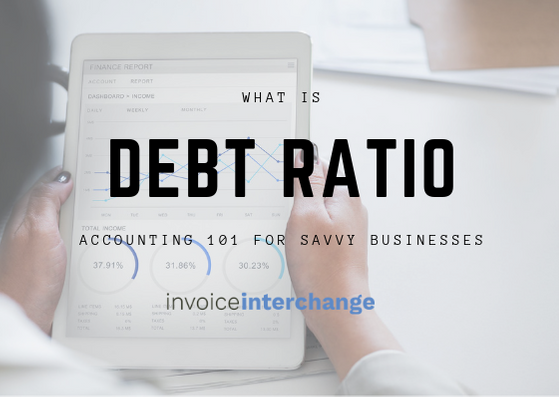 Debt ratio is a solvency ratio that measures the extent of a company’s financial leverage. It shows a macro-level view of a company’s debt load relative to the assets of the company; For example, how much of the company’s assets are financed by debt. It is defined as the ratio of total debt to total assets, expressed as a decimal or percentage. Assets are anything of value or a resource of value that can be converted into cash; while debts are defined as an amount owed for funds borrowed. By understanding Debt ratio can help you identify steps to help business grows. Debt ratio helps investors analyse a company’s ability to pay off debt and whether or not it is safe to on board their investments. It varies widely across industries and is therefore not feasible to compare debt ratios among companies of varying industries. Whether Company A is in a better financial situation than Company B all depends on the industry average. A debt ratio greater than 1.0 tells you that a company has more debt than assets. Companies with higher levels of liabilities compared to assets are considered more leveraged and risky for lenders. Leveraged companies are considered riskier because companies are contractually obliged to pay interests on debts regardless of their operating results. Even if a company incurs operating losses, it still is required to meet fixed interest obligations. Meanwhile, a debt ratio less than 1.0 indicates that a company has more assets than debt. This means the company fully-owns most of their assets; it is a more independent and financially stable company that does not need to rely heavily on borrowed funds. The debt ratio of a company is highly subjective. There is no ideal figure of what the ratio should be. Generally, it should be kept at a reasonable low level if a company’s cash flows are subject to a large amount of unpredictable variation, since it may not be able to service the debt in a reliable manner. Companies employing too little leverage may be earning lesser than their competitors as a result. Take a balance approach between taking risks and actions to help business grows. How to Manage Cash Flows?